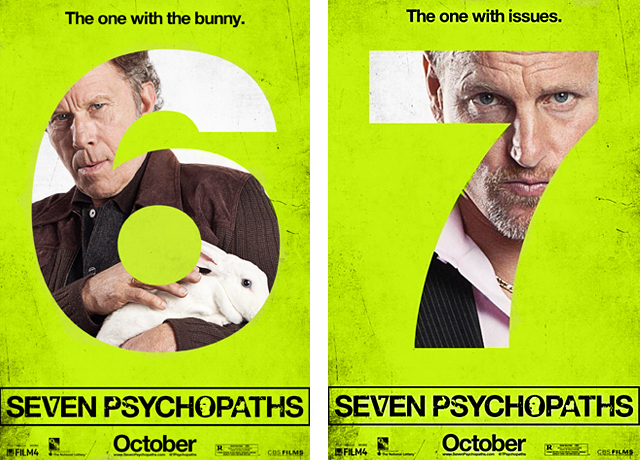 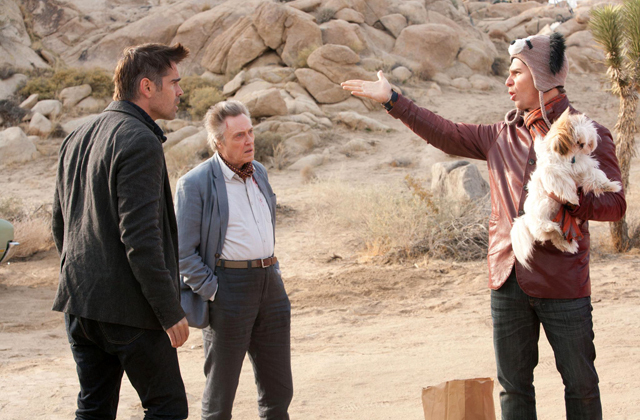 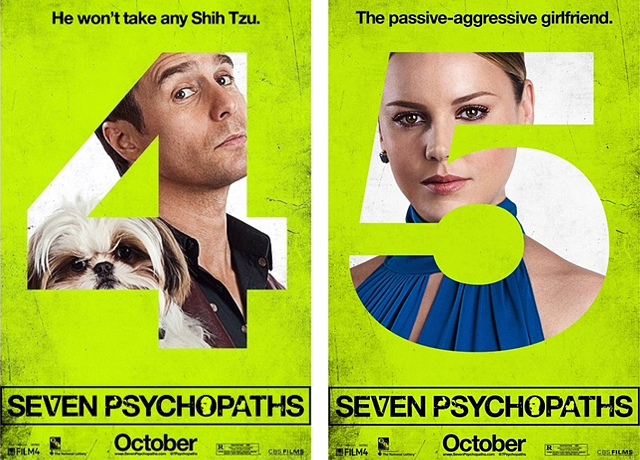 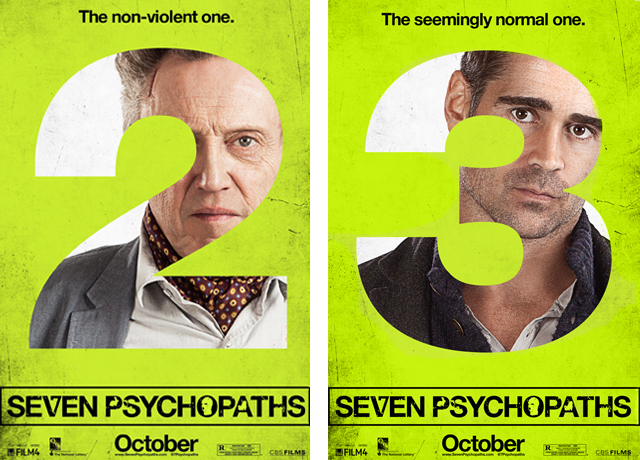 In the upcoming CBS Films dark comedy Seven Psychopaths, written and directed by Oscar winner Martin McDonagh, actors Sam Rockwell and Christopher Walken kidnap Woody Harrelson‘s cherished Shih Tzu by mistake and the struggling screenwriter, played by Colin Farrell, somehow gets mixed up in the whole criminal mess. 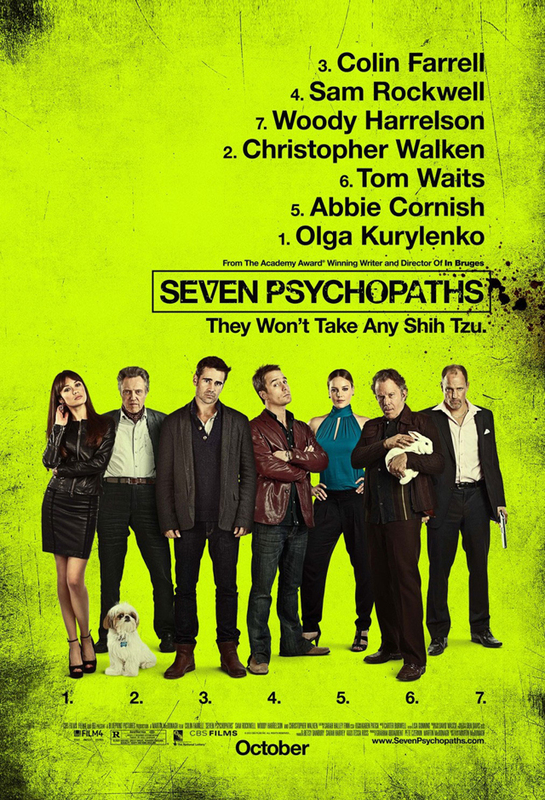 The film is being released in the US and UK on Friday, October 12, 2012 and will co-star Abbie Cornish, Tom Waits, Gabourey Sidibe, Olga Kurylenko and Zeljko Ivanek. 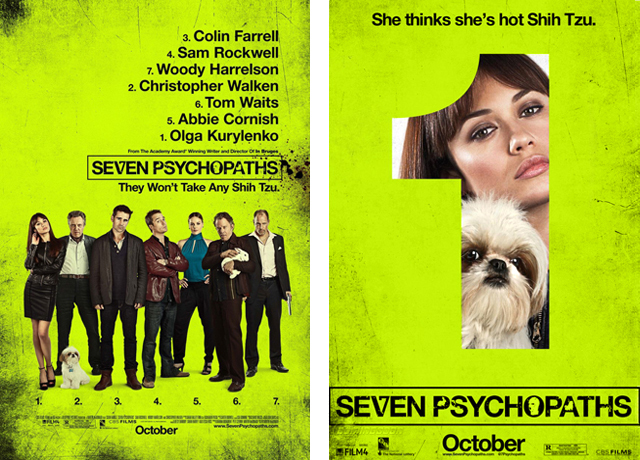 You can view the exclusive movie trailer debut, all seven character movie posters and screenshots below.